CultureQuests are inquiry-based research projects, undertaken by teachers and students in a particular class, and result in educational websites which are of use and of interest to other students. The pages in our Resources Section describe the steps in that process. CultureQuest involves students and teachers engaged in inquiry-based classroom projects that explore other peoples and cultures. Projects are based on students’ questions and interests and involve the focused, intensive study of one or more aspects of the art, music, literature, religion, values, daily life,customs and traditions of other cultures. Students supplement traditional resources with extensive use of the Internet, both for information and for communication with knowledgeable adults and peers in the country they are studying. Their completed work becomes part of a class website, which may be accessed at this site. CultureQuest seeks to promote better understanding and appreciation of other cultures, strengthen inquiry, research and literacy skills while providing students with technology skills for the 21st century. CultureQuest was created at the Center for School Development of the School of Education, The City College of the City University of New York. It was initially supported through a grant from the National Endowment for the Humanities (NEH). Additional support was received from JPMorganChase, the USDOE’s PT3 Program, and the America India Foundation. As we are currently in the process of expanding the number of independent CultureQuest sites, please contact us if you would like to start a CultureQuest Program in your city, state or country. PT3NOW has recognized CultureQuest as a best practice in technology integration. CultureQuest teachers and students now have the opportunity to use child-safe e-mail to support their CultureQuest project activities. ePals is providing powerful communication tools that provide teachers and students with their own e-mail account, the ability for teachers to search for contacts throughout the world, access to discussion forums, and automatic translation in eight languages! If you are intested in obtaining ePals for your class CultureQuest project, please contact Dr. Sheila Gersh at sgersh@ccny.cuny.edu. 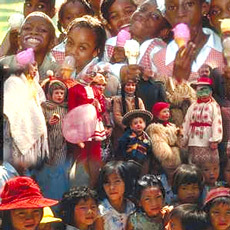 CultureQuest programs are currently starting up in several countries around the world and in eight states in the U.S. For further information, contact, Jeane Simon in Chile, Jacqueline Lora Gomez in the Dominican Republic, Bharat Thakur in India, Esther Feffer in Israel, Kyoko Murikami Jun Sakamoto in Japan, Ursala Vellego Morero in Spain and Ulf Akerberg in Sweden. In the U.S. contact, Amy Hasty in Alaska, David Stoloff in Connecticut, Kim McCord in Kansas, Robert Leneway in Michigan, Sheila Gersh in New York, Lisa Schonberger in Pennsylvania, Joyce Morris in Vermont and Anne Pierce in Virginia. A brochure was published and distributed to the Partners and Advisory Board. A newsletter will be published twice a year. The first issue was sent to the Partners in early fall. The staff continue to do presentations and workshops for teachers in NYC. The staff recently prepared a Teacher Guide to assist those implementing the project. A CultureQuest Advisory Board was formed and will meet three times a year. One of its primary goals is to help link the project to key resources and people.